Justice Richard Bernstein joined the Michigan Supreme Court in January 2015, becoming the first blind State Supreme Court Justice in America. Richard is a Phi Beta Kappa graduate of the University of Michigan and earned his law degree from the Northwestern University School of Law. 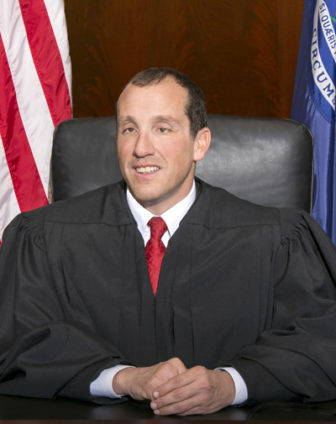 Prior to his election to the Court, Justice Bernstein was elected by voters statewide to fulfill an eight-year term on the Board of Governors at Wayne State University, serving as Chair for two years in 2009 and 2010. He also has served as an adjunct professor in the political science department at the University of Michigan. Throughout his career, Justice Bernstein has been known as a tireless advocate for disability rights as an attorney leading the public service division for The Sam Bernstein Law Firm in Farmington Hills.